The 2016 Summer Open takes its cue from Aperture’s recent publication Photography Is Magic and is curated by the book’s author, Charlotte Cotton. 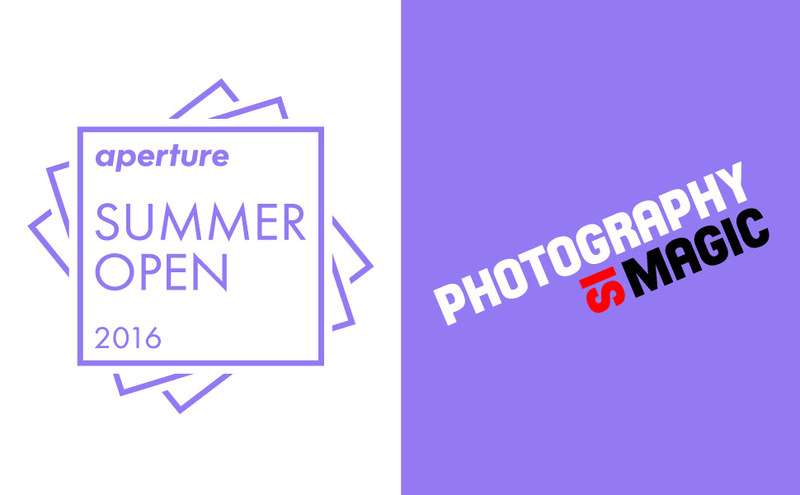 The Aperture Summer Open is an annual open-submission exhibition at Aperture Foundation’s gallery in New York, featuring a wide variety of work drawn from all kinds of photographers. Selected annually by a prominent curator or editor, the exhibition seeks to reveal and report on critical themes and trends driving international contemporary photographic practice. The exhibition opens the doors of the Foundation to all photographers, both well- and lesser-known, as it fosters and promotes new ideas and talent. To learn more about this year’s theme, you can read a conversation between Cotton and Aperture’s executive director, Chris Boot.